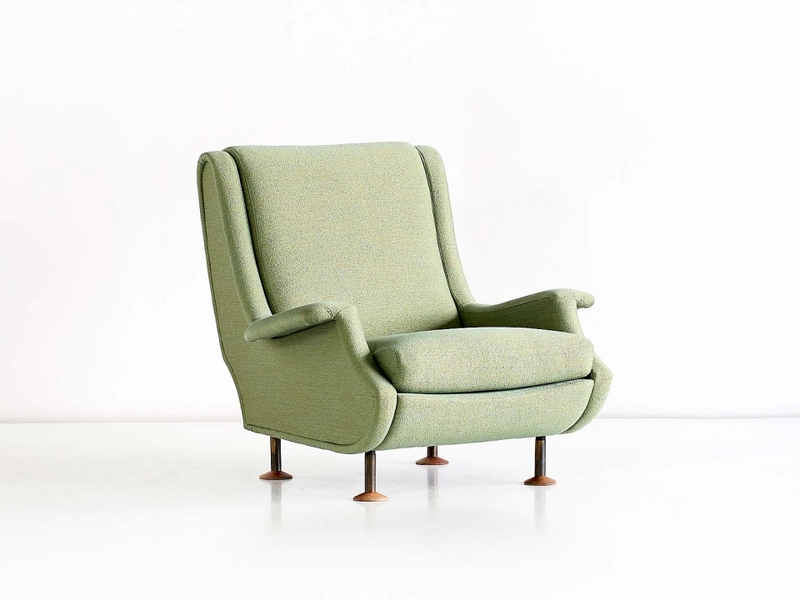 This very comfortable ‘Regent’ armchair was designed by Marco Zanuso and produced by Arflex in the 1960s. 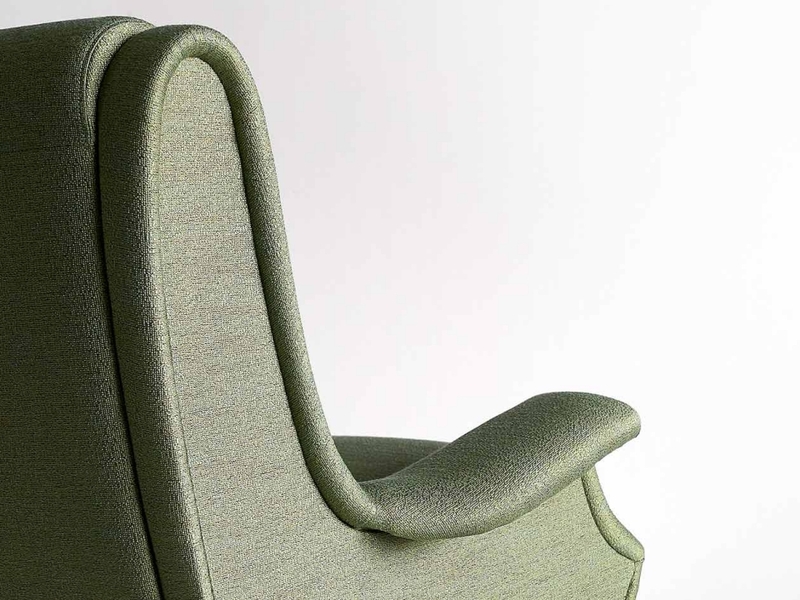 The lounge chair has been fully reconditioned and professionally re-upholstered in a golden green Rubelli Tadao fabric. The chair has brass legs and wooden feet.